Very well photograph series , beautiful photos! I remember you said yo’d try to photogrpah the fruit and seed – thank you – they’re terrific photographs. Promise kept! 🙂 I’m glad you like the fruit too. 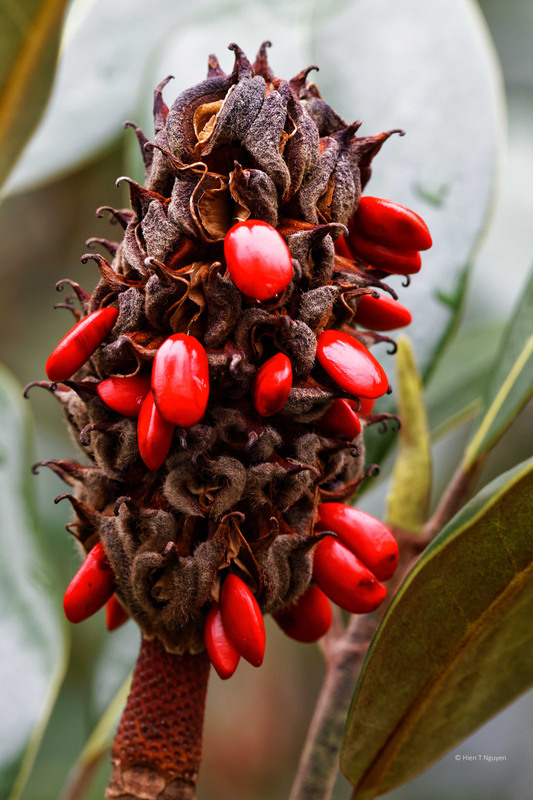 The tree, a Southern Magnolia, is not easy to grow in our area. However, once it is established it is a delightful tree to watch. 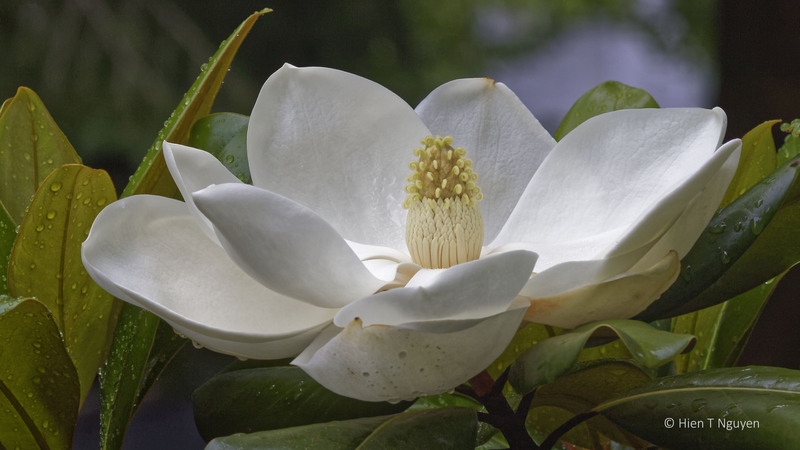 I didn’t know that magnolias bore fruit, or that birds ate the seeds. Thanks for the info. Never seen one. Beautifully fantastic! Thanks Amy! 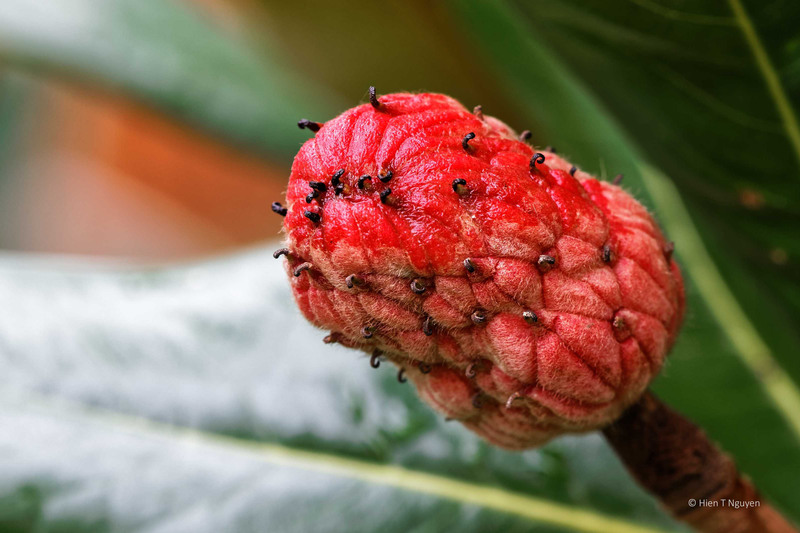 The magnolia fruit looks good, but it can be toxic to humans. Only birds can deal with those seeds. I love seeing the progressing of the flower to seeds. Thank you. That tree is in our backyard, allowing me to keep track of its fruit development. so beautiful! Everything you capture seem so perfect in every way. I feel I could reach out and touch these. Wonderful images! Hien, very nice colors in the Magnolia Fruit. Thank you Tim! That red or crimson was very vivid.